If you have any anti virus software, please deactivate first. The resetter software (adjprog.exe) requires specific date to run and your anti virus will prevent that. Make sure you printer is ON and connected to your computer. This program will set your computer date to 1 Apr 2008. Click “Particular adjustment mode” button. Select on “Waste ink pad counter” and click “OK” button. Click on “Initialization” button and the program will reset the protection counter. Change your computer’s date back when it prompted. Reactivate your anti virus if any. Warning: You must place all file into one folder before do everything, all files in the same folder will be deleted after complete. 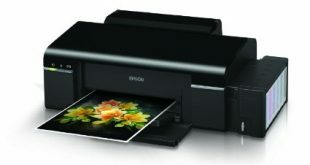 pls send me software so that i can reset my printer Epson Stylus T13. thank you, send to my email mentioned..
First of all, you can see T11 and T13 use the same ink catridges (T0731N / T0732N / T0733N / T0734N) and now we don’t have exactly adjustment program for T13. Why don’t you try with T11 reset counter program? Yes, R280 and R290 is the same line.